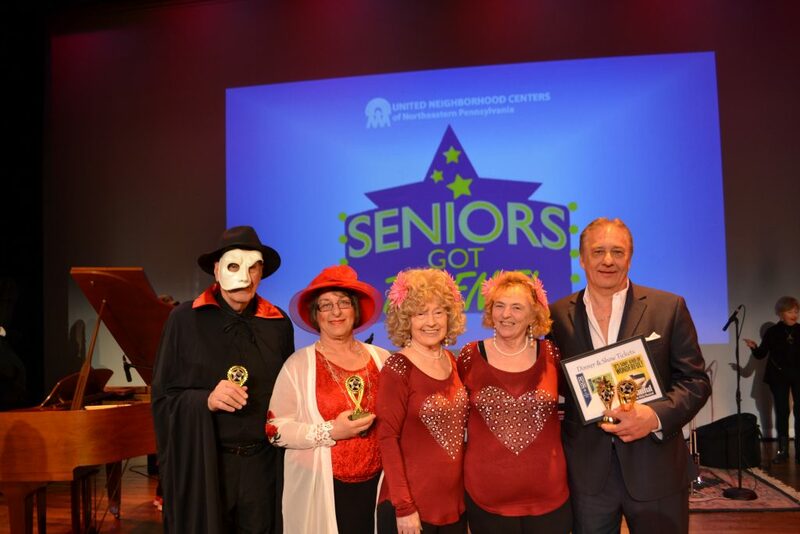 Congratulations to the Winners of Seniors Got Talent! United Neighborhood Centers (UNC) hosted the 6th Annual Seniors Got Talent! on April 8, 2018 at the Theater at North. The first half of the show featured the highly talented competitors, while the second half showcased some local celebrity talent. After the judges had time to deliberate, the winners were announced. In third place was Chuck Weber, followed by the Western trio, and Joe Seraphin won both first place and the Audience Choice award. Congratulations to the winners, and many thanks to all who participated!